Media / News Civic planning—a vanishing beat? 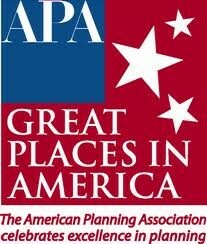 A few days ago I visited the website of the Chicago-based American Planning Association to check the details of the APA's annual journalism awards for "outstanding coverage of city and regional planning issues." In 2006, the year I was a judge, we gave an award to the Times-Picayune for its coverage of New Orleans after Hurricane Katrina. That tied in with something I now wanted to blog about the Times-Picayune. At the website I spotted a troubling notice: "APA's Journalism Awards competition will not be held in 2012." On Tuesday I called Sylvia Lewis, the APA's director of publications, and asked why. We haven't given those awards since 2009, Lewis told me. "There were so few entries it fell off a cliff." In the awards' heyday, the APA would receive 60 to 70 entries a year. That might not seem like a lot, given the hundreds of American newspapers, which the APA divided by size into three categories. But the kind of reporting the APA created its awards to honor isn't easy to do. These are big projects that demand, first of all, a mastery of the details of how a city or region works, and second, a coupling of the imagination and critical thinking needed to propose ways for it to work better. As Lewis observes, at a small paper this sort of undertaking can involve every single reporter on the staff. The work is vital, but it's not annual. Every ten years, perhaps, a newspaper needs to ask the question again: What path are we on, and is it the right one? At the end, Lewis says, the APA wasn't getting even two dozen entries. She has some pretty good ideas about why. It used to be, she says, that a lot of entries were slickly assembled and sent in by people whose job it is to promote their papers. She guesses that when times got tough these people were among the first to lose their jobs. She noticed that the percentage of entries sent in by promotions departments, rather than by senior editors or by the reporters themselves, plummeted. And she supposes that smaller news staffs mean less time to give to contests and a willingness to pass up all but the most important—namely, the Pulitzers. And then there's the most disheartening reason. Because good planning stories are long and complicated and hard to put together, she wonders if fewer newspapers do them. These are merely surmises, says Lewis. Pretty good ones, I think.